Upon specification of your search criteria (pick-up/return location, date and time) in the above form, you will be provided with all our relevant and actual vehicle offers. If you wish to return a car in a different location than Graz, please tick the 'Different Drop Off Location' check box. The most recent car booking in Graz has been made on our website 713 minutes ago. 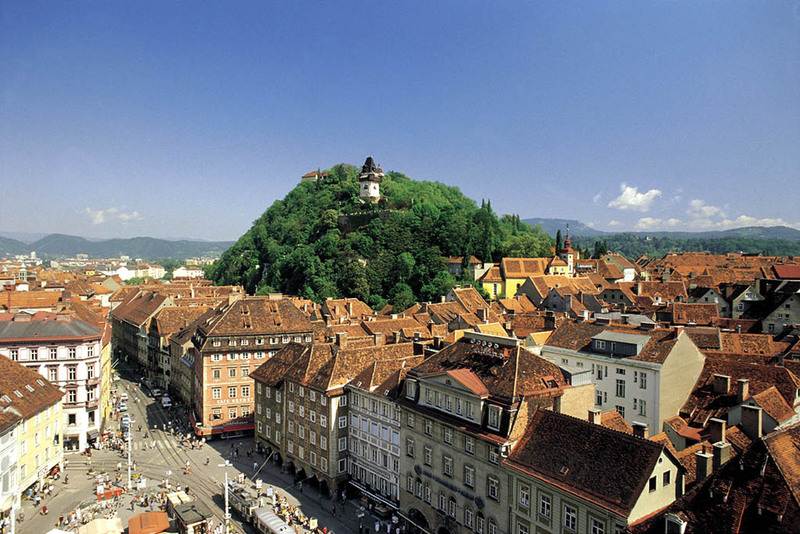 In Graz, we offer for rental 5+ car categories from 5+ rental suppliers. Budget rental. The most economical offers in Graz are rendered for the following cases: (a) your pick-up date is 2-6 months ahead; (b) the same pick-up and return location and (c) a long-term rental (one week and longer). In Austria, cars with a mechanic transmission and a petrol engine are less expensive than vehicles with an automatic transmission and a diesel engine. Reservation options. At your reservation time, you can additionally select a GPS navigator, child seats, winter tires, and many other convenient options. For most of the cars in Graz, we will offer you a full coverage (zero franchise) insurance (full coverage of your risks, No Excess). Car pick-up. The rental office in Graz will make the vehicle ready for you at the time indicated during your reservation. Upon arrival, you should show the required documents: your voucher, driving license and credit card. The rental office will provide you the keys, rental documents, and the invoice. Please check that all the data in the documents and invoice coincides with the data in your voucher. Safety. Have your rental papers with you during the whole rental period in Austria, do not leave them in the car or at your hotel room. Keep car keys in a safe place out of reach of burglars in Graz. In case of a car theft, your insurance will be invalid without keys provided. Car return. The final examination of the vehicle, final payment, and issuing of documents are performed in Graz office upon the return of the vehicle. The fuel conditions (return with a full tank or an empty tank) are indicated in your voucher. OrangeSmile.com wishes you an exciting driving experience in Graz! Graz has prepared a rich program full of excursions for its guests. Travelers should definitely not forget to visit Armoury Museum. The beautiful museum, which was one of the largest armories of the city several centuries ago, now stores approximately 30 000 priceless artifacts. Huge halls of Armoury Museum have become home to numerous guns, swords, lances, pistols, as well as armor and helmets. Some exhibits were made more than three centuries ago and have been stored here since the foundation of the museum. Schlossberg Mountain is an interesting attraction. It is sometimes referred to as Castle Mountain. Here, at an altitude of 400 meters, several centuries ago was built a beautiful castle. Today travelers can get to the top of the mountain by funicular or make a walk, which certainly leave a lot of impressions. There is an observation deck right in front of the castle, from which visitors will admire beautiful panoramic views of the city. Burg Castle is a no less interesting architectural object. The castle is located east of the city's main square. The building was constructed in the 15th century, but the castle was repeatedly reconstructed during its long history. Today tourists have a wonderful opportunity to walk through the cozy courtyard of the castle and observe the incredible decoration of its inner premises. A few words should be said about the city's main square, Karmeliterplatz, which got its name from an ancient monastery. In the end of the 18th century the premises, which belonged to the monastery, were converted into police stations, but the square located in front of the buildings has retained its name until today.